Coconut Creek Slip and Fall Attorney, Robert Gluck from the Law Offices of Robert E. Gluck, P.A. 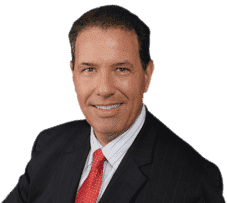 has been practicing law since 1989 and is passionate about providing his legal experience and guidance for victims of slip and fall accidents that resulted in an injury. You may be entitled to compensation and he will be dedicated to getting it for you. Whether your fall happened on someone else's residential property or at a business, the Coconut Creek Slip and Fall Attorney you hire will need to prove negligence in order to move forward with your case. Negligence is the standard of care that a reasonable person must follow to avoid injury to others. If someone falls below that, they may be responsible for your financial compensation. Coconut Creek Slip and Fall Attorney Robert Gluck will make sure to open a full and thorough investigation into your claim. He will gather all the evidence he will need, including witness statements, photographs of the accident scene, video surveillance, any property damage, and other pieces of evidence he thinks will be necessary. Studies have shown that those who seek legal representation tend to receive higher compensation than those who don't. Robert Gluck is a Coconut Creek Slip and Fall Attorney that will make sure you get the maximum compensation you deserve for your injuries so you can put this whole ordeal behind you and move forward.